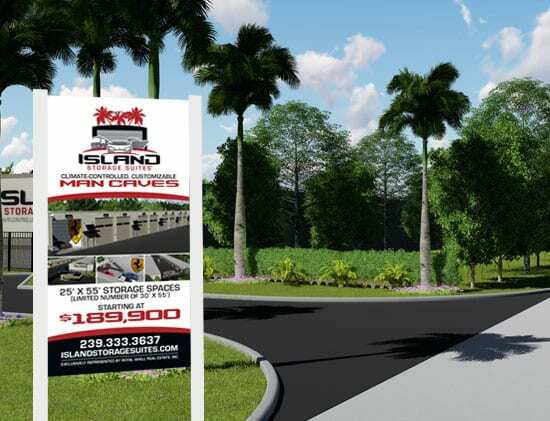 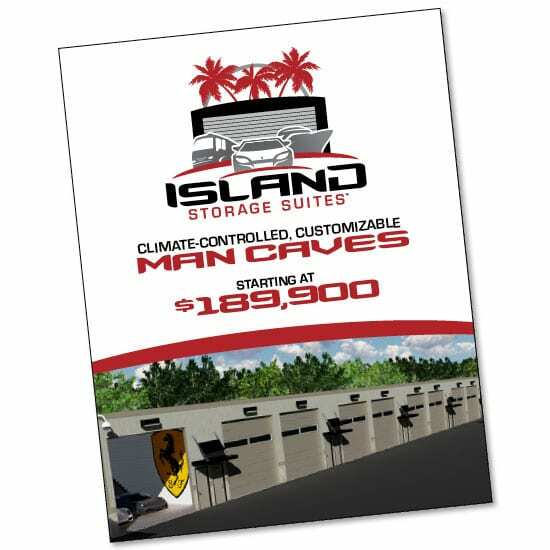 Island Storage Suites in Fort Myers, Florida provides secure, discreet, climate-controlled, garage-style storage suites to keep, preserve and enjoy your most prized possessions, such as: exotic or vintage automobiles, Class-A recreational vehicles, boats, watercraft, sports memorabilia or any personal collection. 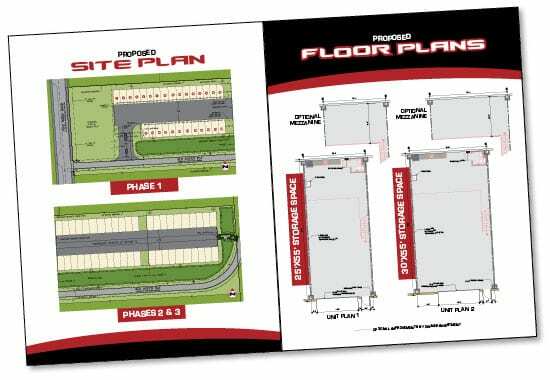 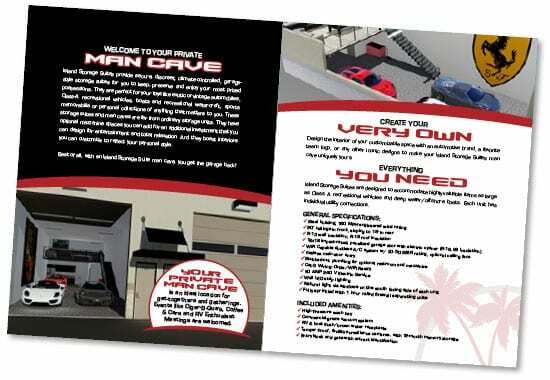 Labeled as “man caves,” these storage units are far from ordinary, including optional mezzanine spaces allowing for complete customization, incredible entertainment potential and total relaxation. 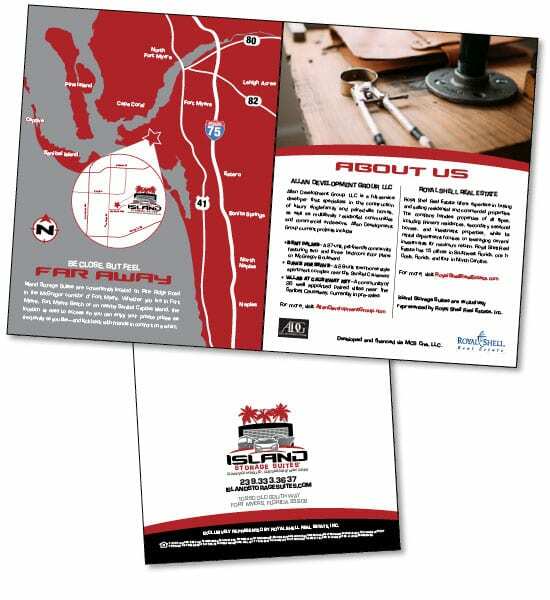 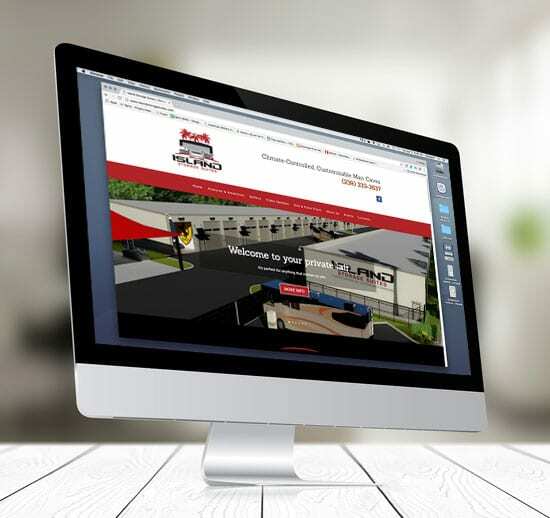 Spiro & Associates spearheaded marketing communication efforts beginning with a complete branding effort, followed by name & logo creation, website, location signage, brochure & other business collateral, plus myriad other creative endeavors.